The Arturo Fuente Double Chateau Maduro has a dark, oily wrapper that provides just the right amount of sweetness to this spicy blend. 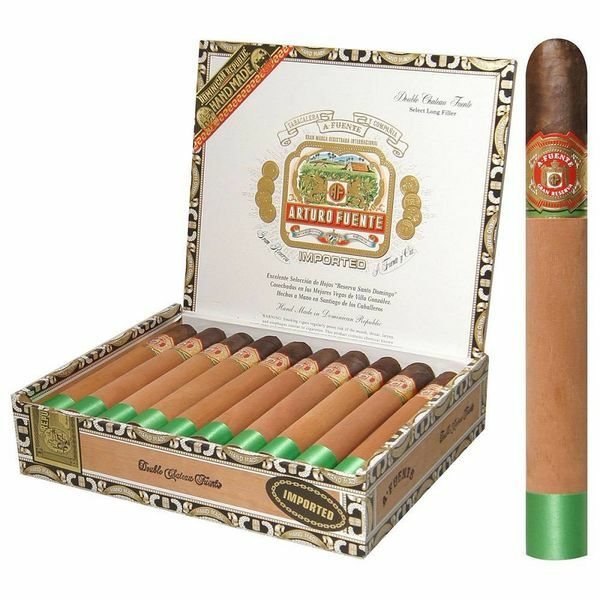 A Connecticut Broad leaf wrapper is the reason, and aged Dominican filler tobaccos from the legendary Fuente farm round out the package. Already rich, nutty, and smooth, the aromatic cedar sleeve covering this cigar in it's packaging, makes them even more mellow and delicious.